In just one weeks’ time, St Kevins Boys U9s, U10s and U11s will take on the likes of Manchester United, Leicester City and Wolverhampton Wanderers in the annual Oakham Tournament. The teams fly out to Oakham next Tuesday where they will play the first round of the group stages, followed by another round of group fixtures on the Wednesday before the finals day on Thursday. It won’t be St Kevins first time entering the Oakham Tournament. Previously, their Under 12s, 14s and 15s entered the tournament and made a significant impact on the tournament, with the Under 14s beating Manchester United 3 –1. 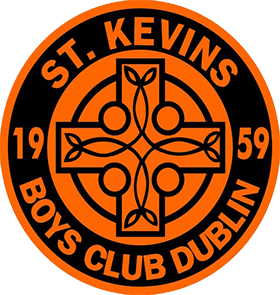 The three teams won 16 of their 22 matches combined and the next generation of St Kevins players will be hoping to replicate those performances. For many of these young players, it will be their first time travelling abroad but for the club, it is just the latest chapter in what has been a long running and fruitful relationship with DB Sports Tours and if the previous trips are anything to go by, the boys are certainly going to have an experience they will never forget.